It's soft and squishy, just like a real brain! 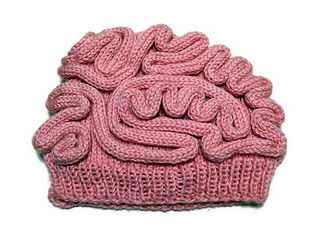 These are available on Etsy if you are interested in purchasing one - just search "brain hat"! Pink and gray options available.